Welcome to SitcomsOnline Digest! 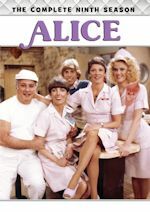 This week, there are plenty of renewals in the works (it seems that the 2015-2016 season produced more stable series than past seasons as networks are renewing entire lineups), some news of some Mill Creek releases of some Universal library series, and more. Let's get started! Mill Creek, which was known for years as a low-budget outlet for public domain DVD releases, has been getting very serious about the DVD business in recent years and releasing much more high profile stuff from major studios (while still managing to keep low price releases). This week, they announced a deal with Universal, which will bring series including Miami Vice, Knight Rider, Coach, Necessary Roughness, Friday Night Lights, and Airwolf back to DVD. But there's more: some of these will also be released on Blu-ray for the first time ever. We do not yet know if Coach will be completed on DVD (it is the only series of the six announced that has not been completely released by Universal), but we hope to find out more soon. 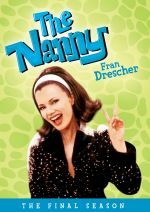 The Nanny - The Complete Final (Sixth) Season (DVD, $34.99): Shout! 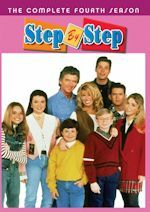 Factory wraps up the Fran Drescher sitcom on DVD with this release. 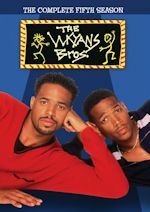 Sister, Sister - The Complete Collection (DVD, $166.99): Technically set for a March 18 release date, this series might be coming out on DVD on that date... though it has already been delayed at least once, so it may be again. Who to Follow: Tahj Mowry (Twitter), "I ♥ Jesus. // BABY DADDY Weds. @freeformTV (new name for ABC Family) 8:30/7:30c // 2 Corinthians 4:18 †"
Claim to Fame: Last week, we featured Essence Atkins, who appeared on the series Smart Guy. Now, we're featuring the person who played her brother on that series (and actually was the title character), Tahj Mowry. 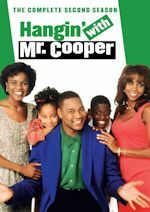 He is the younger brother of Tia and Tamera Mowry, best known for their role on Sister, Sister, but he got his start on television just a few months before even they did with a 1990 episode of Who's the Boss? and eventually landed the recurring role of Michelle's friend Teddy on Full House. After Smart Guy, he landed a voice role on Kim Possible, and today he is one of the main characters in the series Baby Daddy.